Secures the dog thoroughly while grooming takes place. For use on any standard grooming table with a pole and extended arm. Helps eliminate hazards to both dog and groomer. Contains: Quick-release grooming noose, clamp and tether, and training DVD. The Groomers Helper Starter Set has a range of accessories designed to make dog grooming quicker, easier and safer. 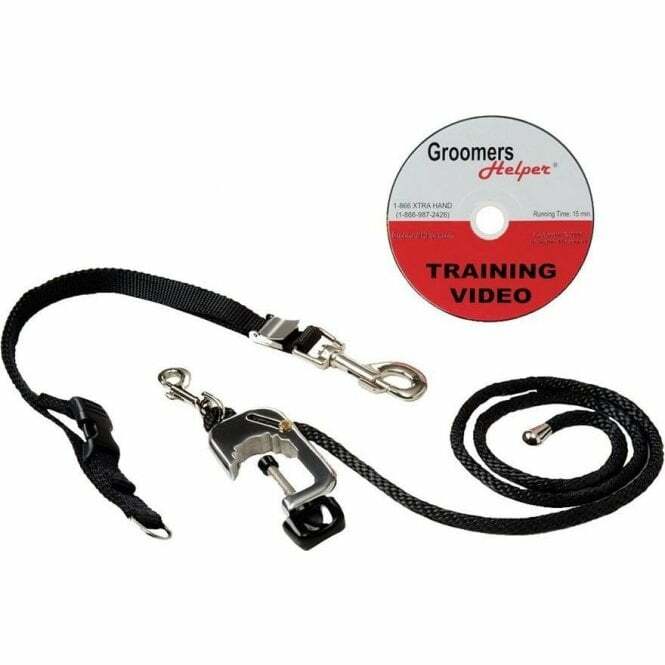 For use with a standard grooming table equipped with a pole and extended arm, this Starter Set provides gentle tethering to discourage the pet from moving, reducing the radius in which it can turn is head by about 95%. 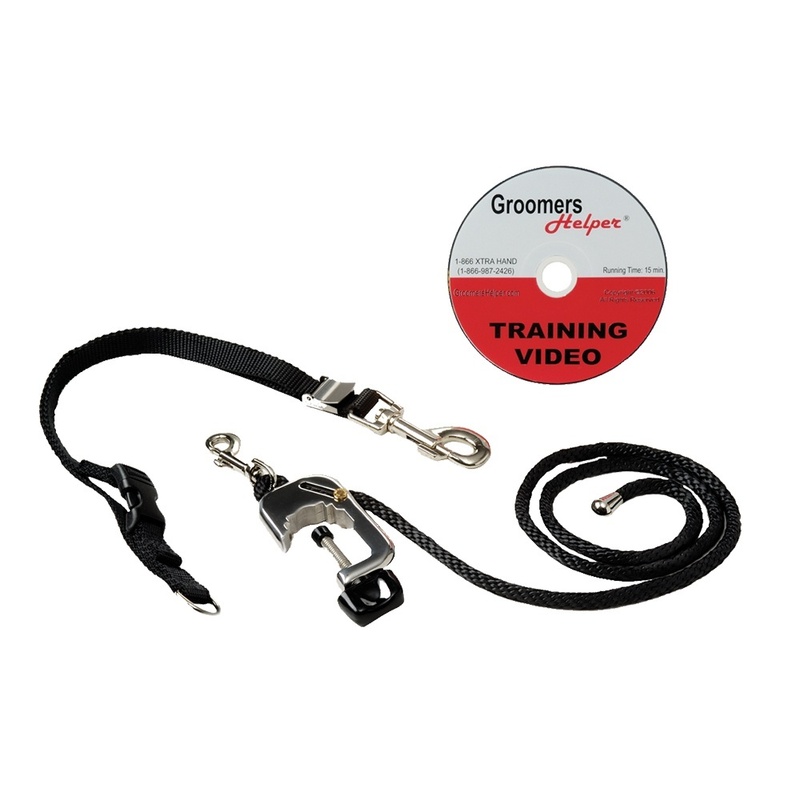 The set contains a patent pending quick-release grooming loop, a clamp and tether to hold and position the pet from the front and above, and a "hands-on" training DVD. The Groomers Helper is a revolutionary pet safety and positioning system that is transforming the dog grooming industry. The system helps eliminates the hazards to both pet and groomer by preventing bites and impeding the dog's ability to leap off the table. It also reduces the need for a second groomer to assist with difficult tasks such as nail clipping. Using the Groomers Helper can also reduce grooming time substantially, as less time is spent adjusting and controlling the dog.